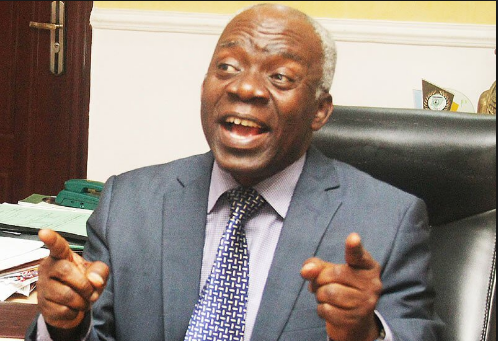 Human rights lawyer, Mr Femi Falana (SAN), on Tuesday condemned the continued detention of a former Nigerian Bar Association chief, Mr Monday Ubani, by the EFCC without charge. Falana, in a statement, demanded the immediate release of the former 2nd Vice-President of the NBA from the anti-graft agency’s custody, where he had been held since March 19. The senior lawyer maintained that the detention of the ex-NBA chief and one Christopher Enai, for standing surety for a suspect who allegedly absconded, was unwarranted because the act did not constitute a criminal offence in Nigeria. The condemnation by Falana came as the High Court of the Federal Capital Territory in Apo, Abuja, on Monday ordered substituted service of a contempt suit on the acting Chairman of the EFCC, Mr Ibrahim Magu, who was accused of disobeying the court’s order directing him to either release the two men or charge them to court. 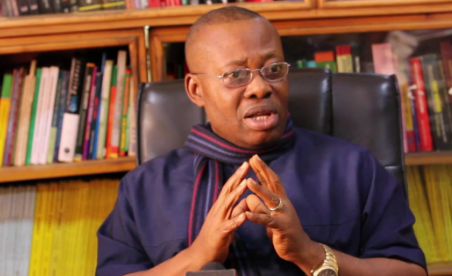 The NBA condemned Ubani’s continued detention which it claimed violated a subsisting court order. But Falana said, “A Nigerian who stands surety for a criminal suspect commits no offence if the latter does not turn up for his or her trial. No doubt, Mr Ubani’s decision to stand surety for a client who has vamoosed has caused him untold embarrassment. But he has not contravened any provision of the penal statute. Falana stated that EFCC must comply with an order of court granting bail to Ubani, whom he demanded should be released immediately. He stated, “Having not charged Mr Ubani with any criminal offence whatsoever, the EFCC must comply with the order of the FCT High Court which has admitted him to bail without any further delay.